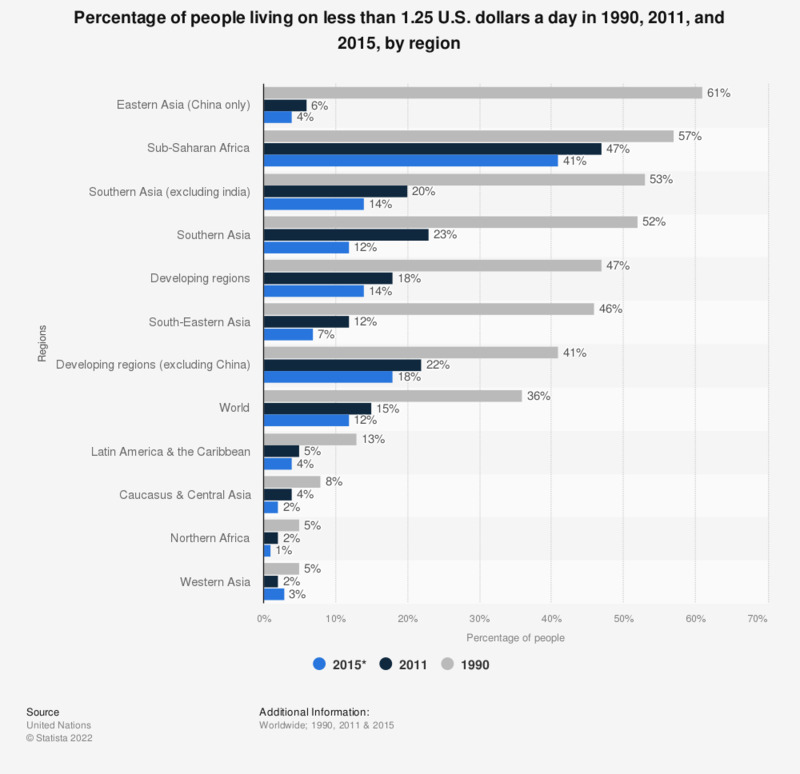 This statistic shows the percentage of people whose income was less than 1.25 U.S. dollars per day in various regions across the world in 1990, 2011, and projection for 2015. As of 2011, almost 47% of the population in sub-Saharan Africa was living on less than 1.25 U.S. dollars a day. In 2011, 6 percent of the total population in Eastern Asia (China only) had an income of less than 1.25 U.S. dollars per day, which was a reduction from 61 percent in 1990.